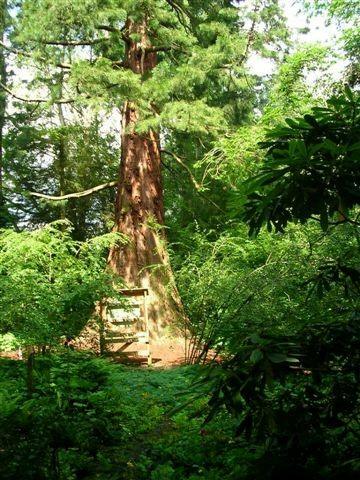 Thanks to Tam for sending these photographs of Giant Redwoods in "Cluny Garden which is open to the public for a small entrance fee (£3.50) under 16s are free. It is just off the A9 and is well sign posted 3.5 miles from Aberfeldy, on the Weem to Strathtay Road on the north bank of the River Tay. 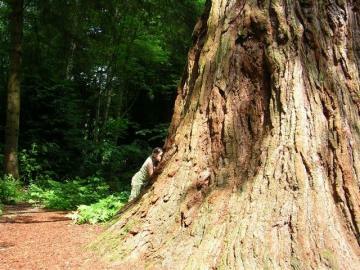 There are two Giant sequoias in this garden as well as some huge firs. 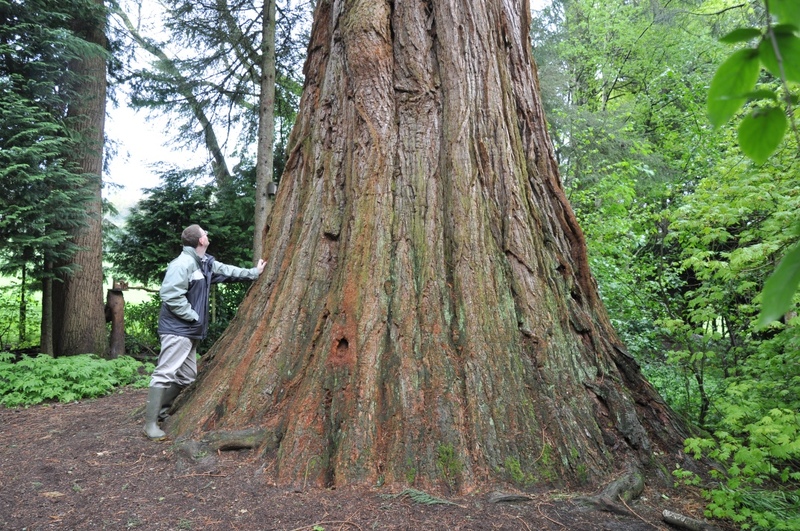 The largest of the two has been measured by the Forestry Commission at 11.05 metres girth although the other can only be centimetres short of this (these two trees have to be seen to be believed). 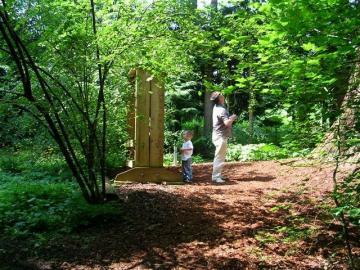 There is a plaque which gives some info stating that the two Cluny trees were planted around 1853 and that it was a Perthshire plant collector John D Matthew who had originally introduced them to the country and that these two were possibly from the original seed collection brought to Scotland. 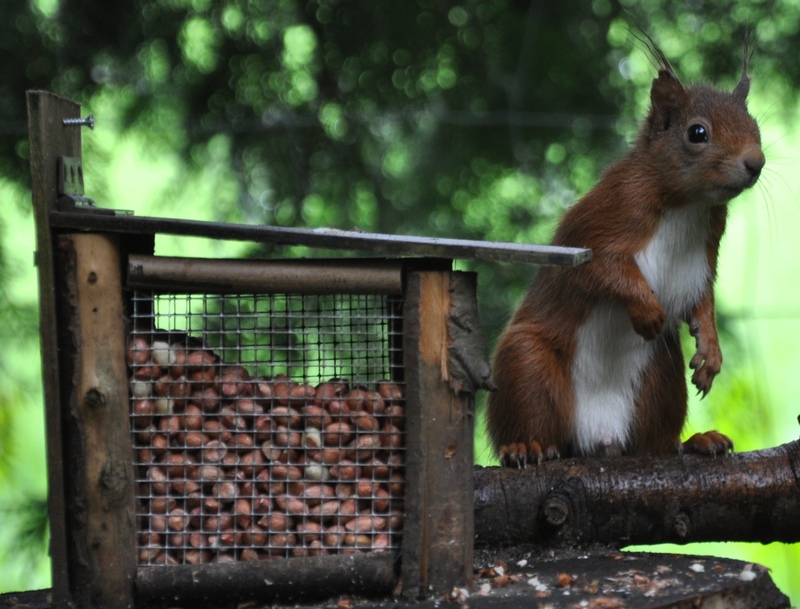 It is a wonderful place here and the info states that Red Squirrels regularly use the Sequoia as a highway through the garden and have been seen 2m from the top (approx 45m)." You have found some monster Giants Tam, the girth sounds remarkable and a trip to Scotland has to be made as soon as other commitments allow. Finally, that trip to Scotland happened and the Cluny trees lived up to all expectations. 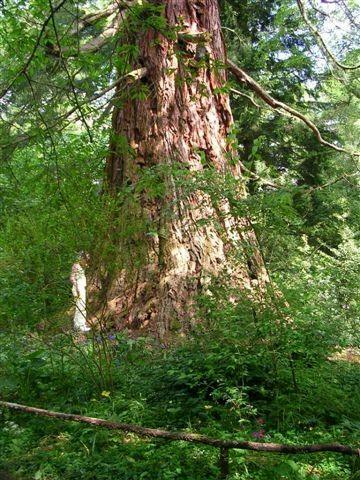 The larger of the two Redwoods is now officially RedwoodWorld's British Isles widest - the Top Trunks page has been updated accordingly. Just to add to the delight there was a squirrel feed box a few yards away from the larger tree and I spied my first ever red squirrel!